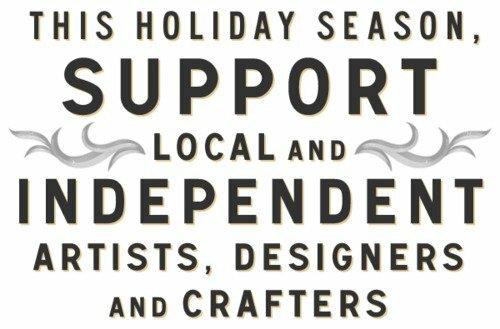 the pottery will be closed from october 31st thru november 9th. i've been away from the blog for bit. i apologize. it seems that as tourist season rolls away and the business is slowing down, the rest of life has picked up. sometimes nearly franticly. i am still working hard to create a glaze in the electric kiln that truly motivates me and inspires me. i'm getting closer. i am starting to find some combinations thats work...but alas i am not sure that the magic of fire will ever be truly replaced. sigh. anyhoo. i'm going home for a little while. i am so excited to catch up with old friends and spend some time with my family. also, i desperately need to hold some other peoples pots :).i need to see the pots of people who i look up to. gallery tour - western nc!! i cant wait for some inspiration. so excited for hills and cool night time air. when i'm in the mountains i feel like i can get lost in the tucks and rolls of the hills and become one with nature. its an amazing feeling being closer to the sky and closer to the earth at the exact same time. kind of spiritual... (i m a nerd). highway 209 near our farm in the mountains. while i'm home i going to visit some fellow potters at a great show in dillsboro nc. 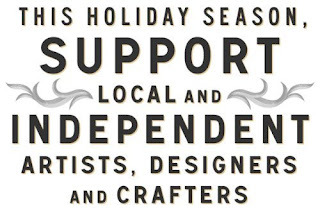 http://www.wncpotteryfestival.com/ if you are around, check it out! for now, thanks for reading and see you soon! earl is not my friend! so if you took the time to look at the link you will notice three major hurricanes. the one hurricane in the middle is named earl. projected to atleast "swoosh" by carteret county with some decent winds and a bit of rain, he is not my friend. for the last 24 hours and atleast the next 48 more, he is all i can think about. OH MY GYAH!!!!!!! panic. panic. okay, just kidding its not that bad. yet. earl will be my first (official hurricane that is) and boy am i nervous!!! i have no idea what to expect (apparently neither do the weather forecasters. um, double yikes!). while none of the long term locals or oldtimers seem alarmed, i am a nervous wreck! luckily BFT is protected by barrier islands, which helps, i guess, or atleast i hope anyway. my home is maybe half a mile from the ocean. so this is also good. my studio is several blocks closer, but is made of sturdy concrete block. i still am being careful. moving the kiln and maybe even boarding up the windows and doors. just to be on the safe side. for now, keep your fingers crossed that earl stays at a safe distance! and i will make sure to keep yall posted. "if some days, simply tying your shoes is the best you can do, then be satisfied that you have done the best you can that day." sometimes i feel a need to do it all. and do it all myself. blah, blah, blah. poor me right? no. none of that business...maybe more like poor us. we all share this innate feeling to some extent. anyway, this morning as i am scrambling to compose my day, i throw my hands and the air and say "BUT WHAT IF I CANT FIND MY SHOES!??!!!". HA! lately i feel pretty overwhelmed with things. lots of things, but mosty complicated by one thing. most people know i love animals. i especially love my animals. here in the casa de reynolds we have a small collection of animals. the queen is a 15 year old springer spaniel named ophelia.. yep, 15. she's my old lady dog. she's had a tough time lately. this has kept me home from the studio a lot. whether it be to take her to the vet or just lay on the floor and pet her, i find myself making some tough choices. choose between my career/life calling and my dog. am i crazy??? no many people deal with this personal battle i think. i am just lucky enough (or maybe unlucky enough? ) to have the chance to make that decision. the conclusion? i cant keep staying home with ophelia every time she feels bad. but what i can do is take her to the studio with me. problem solved. for now. so should you get the chance to swing by the studio, you might just be lucky enough to meet my little old lady. not quite there yet but these little guys are going somewhere. a little more testing and a bit more effort on the brushwork. but i definately see promise! 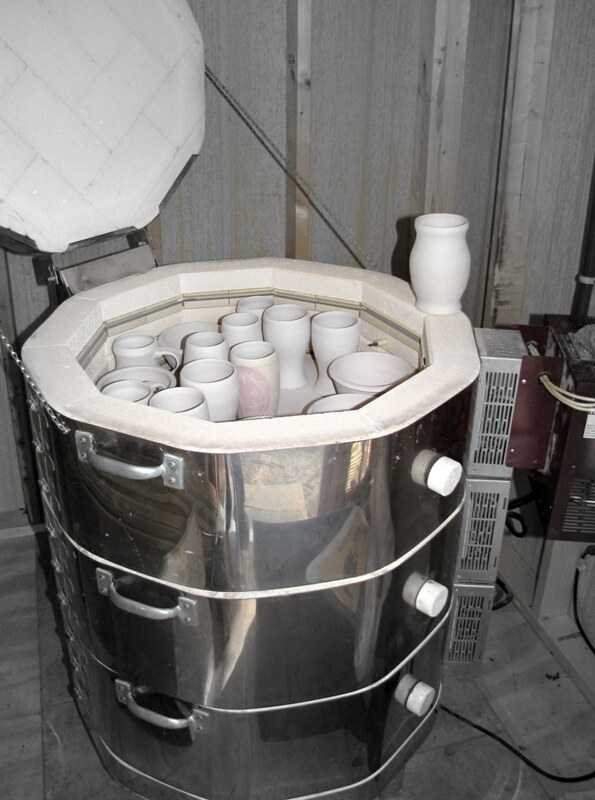 the kiln was loaded full of test pieces. i was trying to accomplish two things in this firing. it was composed completely of pieces that i had made for the dual purpose of relearning to throw (as all you potters out there know, you have to relearn to throw after a long break) but these pieces would also serve as giant test pieces for the glazes i am experimenting with. 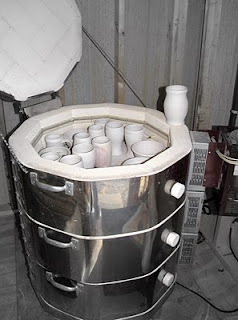 let me explain... i have always fired in a gas reduction kiln or a salt kiln. these are often the really large kilns you see built out of bricks. they are fired using gas or propane as their means of a heat source as opposed the smaller commercially manufactured kiln i am using now that is powered by electricity. overall there was some serious misses, but more than that, there were some serious hits! i am so pleased! with any luck (fingers crossed) and a lot of work, i hope to have a solid collection of marketable and sell-able pottery by the end of the month! I AM FIRING THE GLAZE KILN TODAY!!!! so i am finally truly on my own here in BFT. finally! truly! its a beautiful thing....mostly. i have been mixing glazes the last two days. actually, not much mixing going on. you see, i am finally truly on my own! which also means...there is no one to call when i run out of glaze materials. nope, there is no one to run to with questions about glazes and recipes and substitutions. its intimidating sometimes. but, what i have done is educated myself, greatly. i have poured over my ceramics books for hours. i have scoured the internet for answers. and for the most part, i have answered all my own questions! i am one that learns best by doing. if i figure it out myself i will not forget. but i am also lazy. i do miss ambling into the next room to ask some glaze chemistry nerd what to do. instead, i am figuring it out on my own. its actually very gratifying! who knew? oh dear god!!!! i am becoming a glaze nerd. and the best part is...I LOVE IT! that my friends, is a liberating feeling. and here we go! the first bisque fire was on thursday! hurray! it was great day. there was a steady stream of folks stopping by the studio to congratulate me. i can't even begin to explain the joy that brings me! not only am i lucky enough to live my dream, but the support i have received makes me feel insanely blessed and incredibly grateful. i am not sure how i got to be so lucky but there isnt a minute where i don't feel it in my heart! firing again today! glazing this week! yep! that IS my kiln in the kiln shed. tuesday was a huge day for THR pottery! its been an uphill battle the last few weeks.the studio progress came to a screeching halt when some really weird bumps came up in the road. but patience and perserverence payed off tuesday. we finally passed the fire inspection! unfortunately, before we were able to move forward with the fire inspection, some issues came up with having a kiln in town. apparently, no one has had one in BFT, atleast not in a long time. folks around here had no idea what to make of my little r2d2 (thats my kiln's name)! my studio is in a residential area of BFT. in order to address the possible concerns of neighbors or other people who may question an electric kiln, we worked with the city helping folks to understand the nature of r2d2. let me also take this oppurtunity to say, i am so excited, and thankful, for the support i have received from the city of BFT throughout this process!!! anyway, once all of that was done we had to pass the fire inspection. tuesday was the day! i was as nervous as i could be! but things went smoothly. what relief! now i have shelves and shelves and shelves of pots waiting to be bisque fired and glazed. i am so ready to get r2d2 workin! i am still working on my privilege license in order to become a legal business venture in the city of beaufort. the city has been greatly supportive! i am so thankful for that. recently, we went for the building inspection. with a few minor tweaks, we passed relatively easily. we then had to pass the fire inspection. FAIL. but that is mostly because we have to have the kiln shed wired before we can pass the building inspection. duh, i guess i could've thought of that. also, we failed because of another minor detail we can hopefully bypass (fingers crossed). this week a lot has happened. our dear friend dave came to finish the kiln shed he and nick started. all it needs is a door! we have electricians coming hopefully before the week is over. things are moving along. in the meantime, here is what i am working on. these pots are all greenware meaning they have not been fired to make them solid and are still in a raw clay form. i was inspired when my momma inquired about some old pots i had "put on the back burner". they are not on the back burner anymore! thanks, ma! anyway, things are moving along. i'll keep ya posted. Last week we passed the building inspection! We have one more inspection before i get my Beaufort business license. In the mean time, i am throwing, trimming and waiting. The shelves are getting really full! I am so excited to be back where i belong doing what i'm supposed to do. I hope to be able to fire my stockpile of pots soon. Oh, the waiting is such torture!!! In the meantime, i remind myself to take a deep breath and have a little patience :). Gettin in the swing of things! I returned from the world's fastest trip to Fines Creek last week with the rest of my studio...more or less. After making a trip to Highwater (oh, highwater i will miss thee!) to stock up on supplies, I made the six hour drive back to the coast with over 2000 pounds of ceramic glaze material, clay and various studio equipments. Our poor suburban!!! Here in Beaufort, I have had my new studio for a month now. Feeling mostly settled, I am making pots and excited to get my "groove" back. I am waiting on the city to issue my privilage license and all will be officially official! Its been so exciting. The neighborhood has welcomed me. A steady stream of folks has dropped in to say "hi". I have mets lots of people and am amazed by the support and positive responses I have received. Also, I hope to soon have my kiln hooked up. I need to do something with all this greenware piling up on the shelves. I am excited to move forward with my exploration into electric oxidation glaze firing! My brain is overflowing with ideas! Now, if someone could tell me about an a washed wood glaze recipe for cone 6, i'll be good to go... hehe. For now...cheers! If you are in the area drop in. Here she is!!! I am insanely excited. These are the before pictures. The studio is located in heart of Beaufort, one block from Taylor's Creek and three blocks from my house! We are working hard painting, fixing up the floor and doing some minor renovations to get this place moving along as fast as possible. My favorite part is watching the people walking by all day long. So much life!!! Oh..... my other favorite part, I can just barely see Taylor's Creek from my front door. In the photo below you can see where the street ends. That is the water. That is pretty cool. Setting up shop in Beaufort. Finally. I got the phone call this morning. Its officially official. I am moving into my studio next week. Its a small little shop in Beaufort. One block from the water and only a few block from my house. This could not have happened without the combined effort of several new friends we have made here in Beaufort, and one generous landlord. I am so grateful, its impossible to express it in words. I will leave it at that. I will post more details in the coming days. For now....thank you thank you thank you and hurray.